hello@nicky-porter.co.uk or call 07939 591132. From Lincoln: When you get to the second set of traffic lights in Horncastle, turn right towards Coningsby (A153). 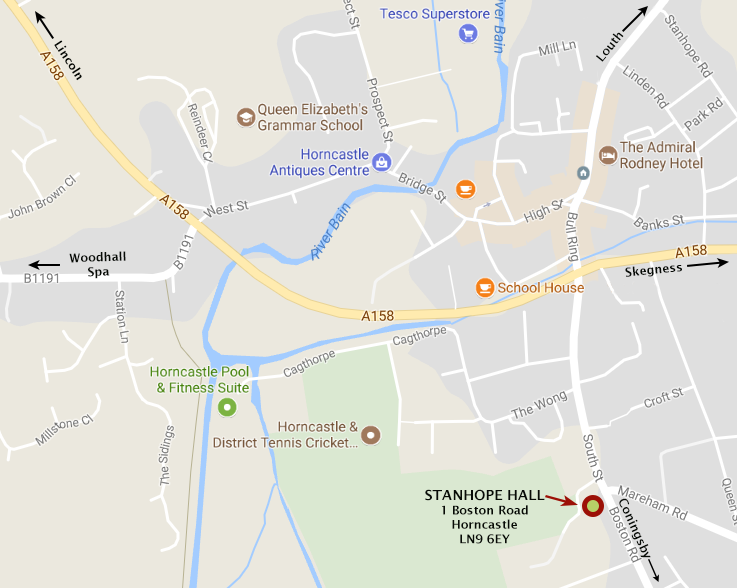 Stanhope Hall can be found on the right hand side of the road. The door to clinic is on the Boston Road, next to the zebra crossing. I will send you the code for the door before your appointment. Come in the door, then go through the door on the right signposted Nicky Porter Therapies, go up the stairs and round to the left, through the door and take a seat.